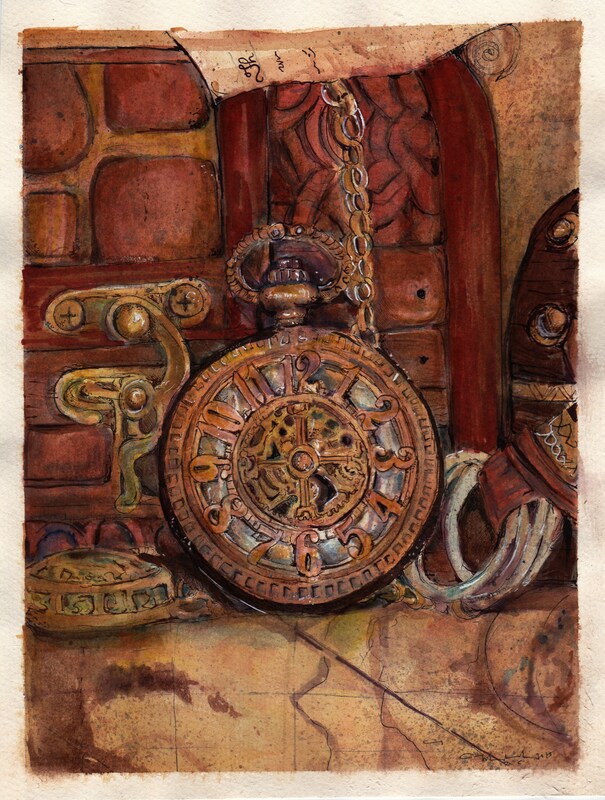 This piece, titled TIMEPIECE, is my first attempt to do still life. I have not really done much still life. Before i thought it was borning, but I thought that about flowers and BOY! I was wrong! doing things like Mechanical Parts, excite me, I like doing leather and chrome however this is the first time i really did clocks and one with a pearl face. I started with inking this getting as close to detail as possible. Then i started painting. Finally i detailed once again with inks. The process was loing and I kept on going back and second guessing myself. But in the end, I managed to get it. I managed to age it well. Its a learning experience, this piece and this means so much to me as I have always love old watches and clocks.it taught me patience and how to take Time to create things that you love.